Thank you for visiting our website. The Web of Robotic Science and Technology (www.robotious.com) was founded in 2016, which is a specialized new media focused on the dissemination of new knowledge about robotic science and technology. 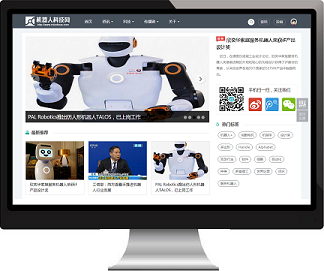 As a beneficial attempt, two different high-tech in mordern world, "Robot" and "Internet", was integrated in our website. The latest reports on the forefront of the robot technology are avaliable on our website, but also the deepen academic articles on the robotic research. The website acts as a window to understand the development and reform of robotic science and technology for researchers, practitioners and amateurs in robotic domain.